Do you have your professional biography in your waiting room to help your patients get to know you better? It’s something that’s often overlooked, but it can really help patients connect and feel comfortable with you. 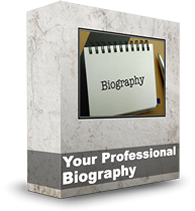 Writing your own bio is no easy task, but we’ll guide you through it.